Windows Phone 3.0 Syncing Tool Released For Mac With Support For WP8 – Download Now! In an effort to convince existing smartphone owners to switch to Windows Phone 8, Microsoft has released an update to Windows Phone sync tool for OS X. Check it out after the jump. 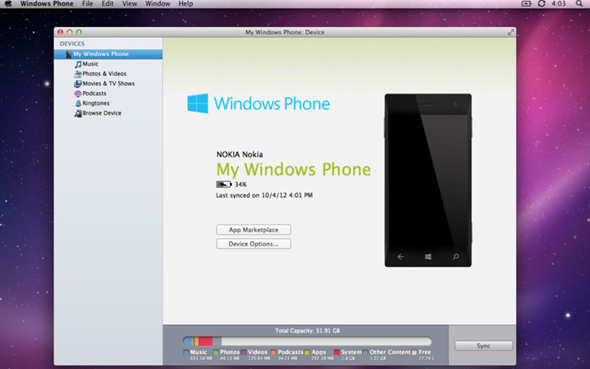 Simply named ‘Windows Phone’, the app lets you manage your Windows Phone 8-powered smartphone through your OS X-powered Mac. If you manage your digital library using iTunes, you can easily sync it with your Windows Phone through this app. This includes music, movies, TV shows as well as podcasts. The app also supports easy two way syncing of photos and videos with iPhoto or Aperture. Don’t like the automated nature of syncing? Manually dragging and dropping files from OS X to Windows Phone tool is also possible! 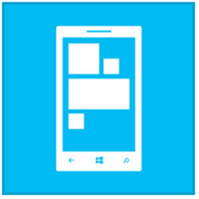 You can additionally browse the files stored on your Windows Phone. Windows Phone v3.0 for OS X is available from Mac App Store for free. You can get it from the link embedded at the end of this post. It only works on OS X 10.8 (Mountain Lion). The app supports Retina Display on the new 13" and 15" MacBook Pro with Retina Display. Unlike the Windows 8 app, it supports phones running Windows Phone 7.5. Why the companion app on Windows 8 / RT doesn’t support older smartphones is beyond me. It’s a fairly stupid decision, considering how people who bought a Windows Phone 7.5 or earlier smartphone are the ones who trusted Microsoft’s platform in its initial days while the rest continued with iOS and Android. Microsoft is doing everything it can to get smartphone owners to switch to their Windows Phone platform, but it’s not really making much of a difference because – compared to iOS and Android – Windows Phone’s selection of third-party apps is fairly limited in quality and quantity. Reviews of the first Windows Phone 8 smartphone – the Windows Phone 8X by HTC – are mostly positive. It has best-in-class hardware, an outstanding, fresh new design, an aggressive price, but it just falls short on apps. Hopefully Microsoft can fix that real soon because the apps shortage (and a good amount of extra money) is the only thing standing between my iPhone 4S and a Windows Phone 8 smartphone.